Simple and easy to install with common hand tools, they bolt right in! Designed and engineered to retain the stock ride quality. We provide complete installation instructions with easy to follow illustrations and alignment specifications with each kit. Made in the USA using quality mill certified steel with a lifetime warranty. 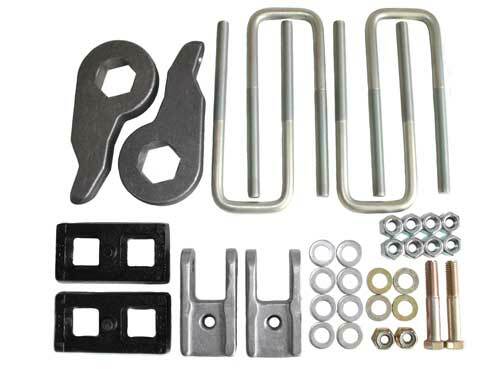 This kit lifts the truck 2.5" in the Front & 1" in the Rear for a "Big Truck" look. Allows larger Tires & Wheels to be installed, up to 33". All Steel construction for superior quality. No modifications such as cutting, drilling or welding are needed.